At the crux of Yoga philosophy lies the mind and its dynamics, being both the cause of and the solution to the problems we face. It is the mind that conditions the way we react or respond to a situation and Yoga philosophy shows us how the mind can progressively be refined and even elevated to a plane where Sattva or clarity prevails, and anchors us in any situation we find ourselves. As Vyāsabhāṣyam explains so beautifully, the river of the mind (Cittanadī) can flow in two directions – either it can engage with the objects of our desires and set in motion a cycle attachment and Duḥkha (suffering) or it can sublimate itself by anchoring to something higher, to the great power that lies within. The latter is the path that meditation leads us towards. While enabling mindfulness and attention at a day to day level, meditation also leads us to an inner space of tranquility and stillness, from where one can better observe and respond to the world around. 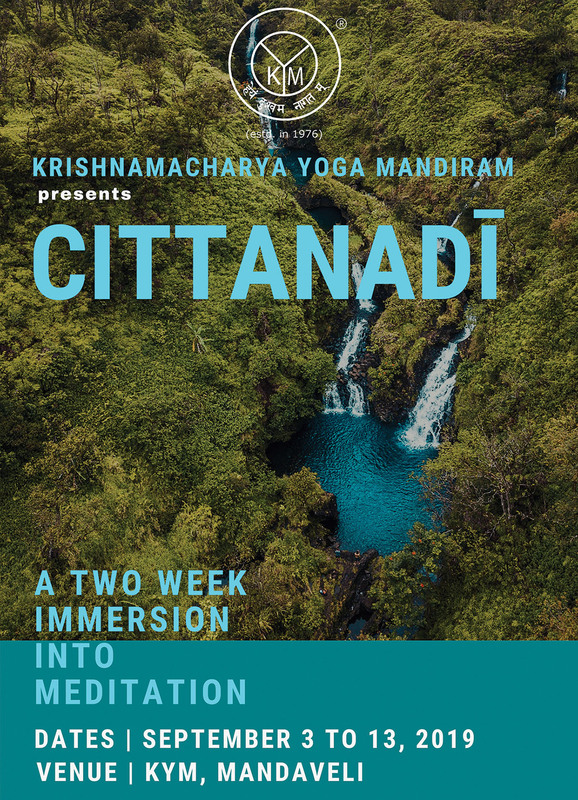 This two-week intensive from KYM leads participants on a meditative experience. While explaining the theoretical principles of meditation as explained in classical Yoga literature, and introducing the process of meditation as taught in the KYM tradition, it also integrates Āsana and Prāṇāyāma as supportive practices that facilitate meditation. Chanting is also integrated as a remarkable system of bringing the mind to attention and also as a means of easing the process of connecting with the object. The theoretical and practical sessions revolve around a hands on experience of meditative practices that progressively deepen from the gross to the subtle, using traditional Vedic and Yogic models of meditation. This course is open to Yoga enthusiasts at any level of experience.